In any case, one of the highlights of the cooking class was a taste test we did comparing canned “pumpkin” puree (which I learned is not actually made of pumpkin, but rather often a hybrid of various squashes) to the real thing, roasted from an actual factual pumpkin. The real pumpkin was way more flavorful, but it lacked that “tinny” taste that you may have come to enjoy from your canned pumpkin product. If that’s a deal breaker for you, return to your can. 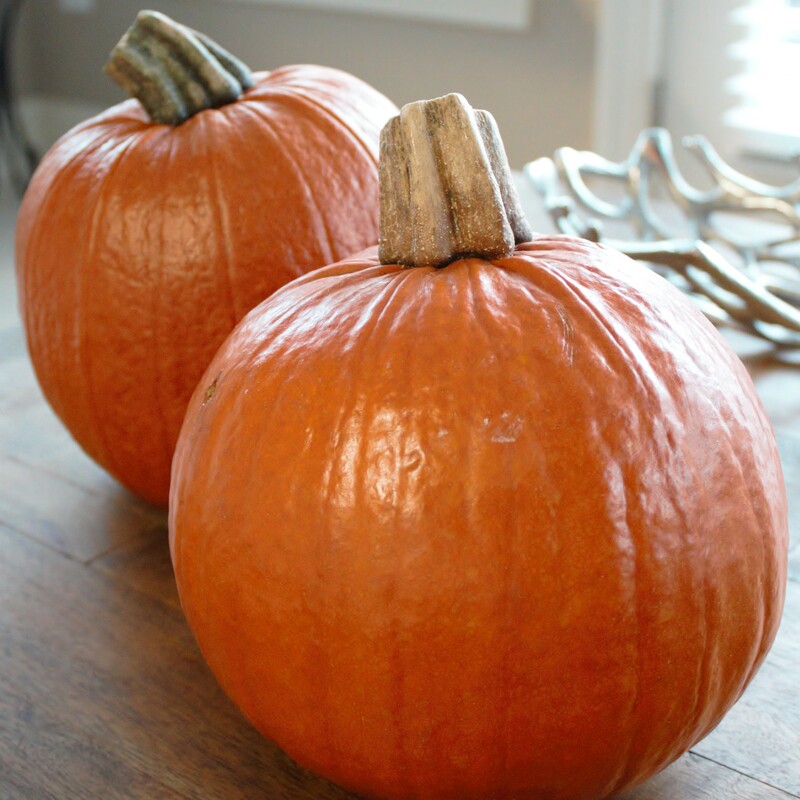 Step 1: Obtain a pumpkin (or 2). Quit buying from a can, making your own is too easy! Done. You’re right, this is easy. Ok, what next? 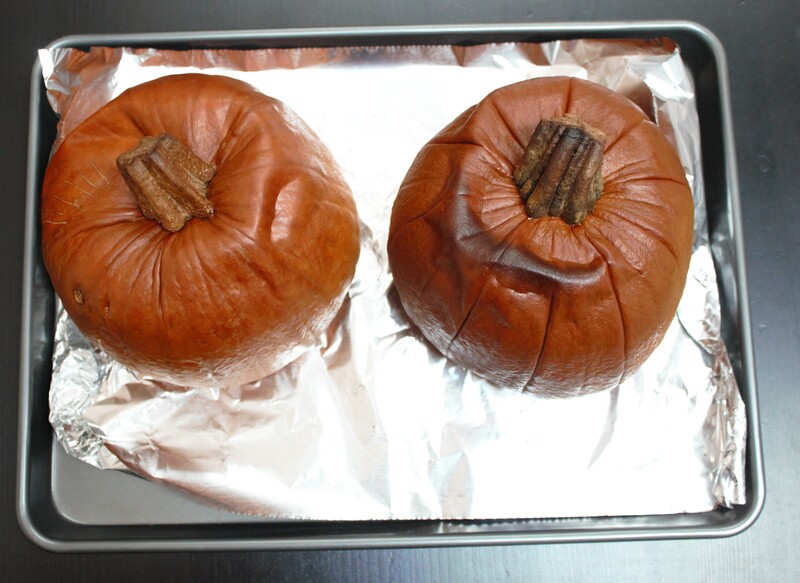 Step 3: Leave the pumpkin in the oven. Step 4: After about an hour, remove the pumpkin! It should be somewhat brown around the top and it might look a little deflated. (But don’t worry – I assure you its morale is still high!) You can try poking it with a wooden spoon or something to make sure it’s gotten a little soft. 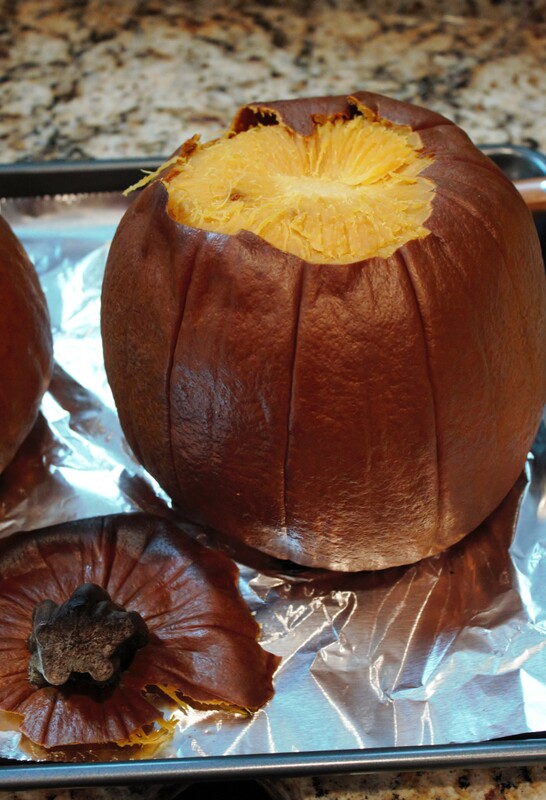 Quit buying canned pumpkin, making your own is so easy! Step 5: Let it cool. Step 6: Peel your pumpkin! 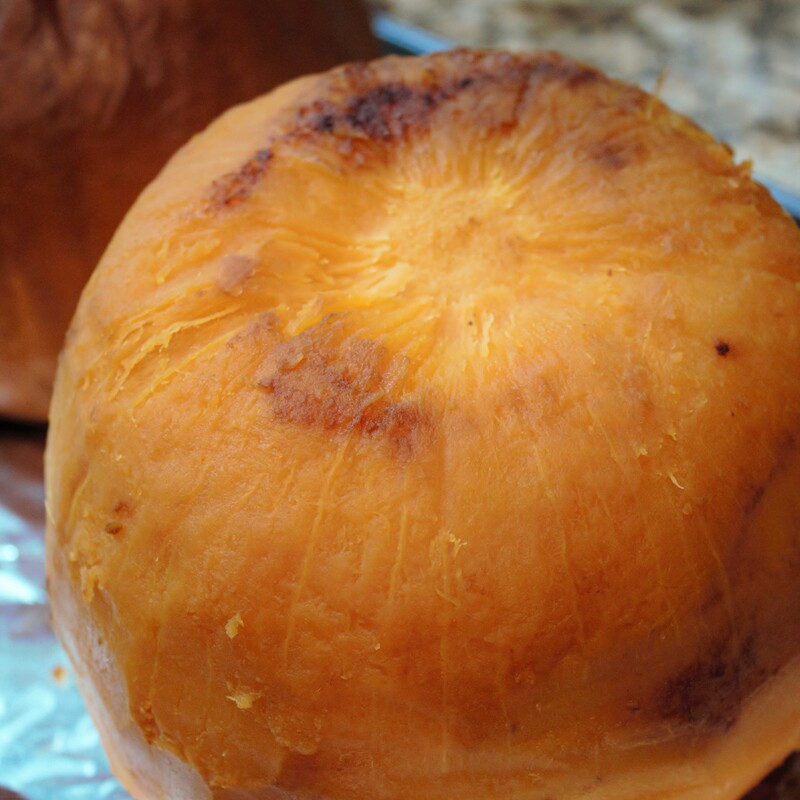 If it has cooked long enough, the skin should easily peel away from the “meat” of the pumpkin. Step 7: Cut the pumpkin in half and scoop out the seeds. 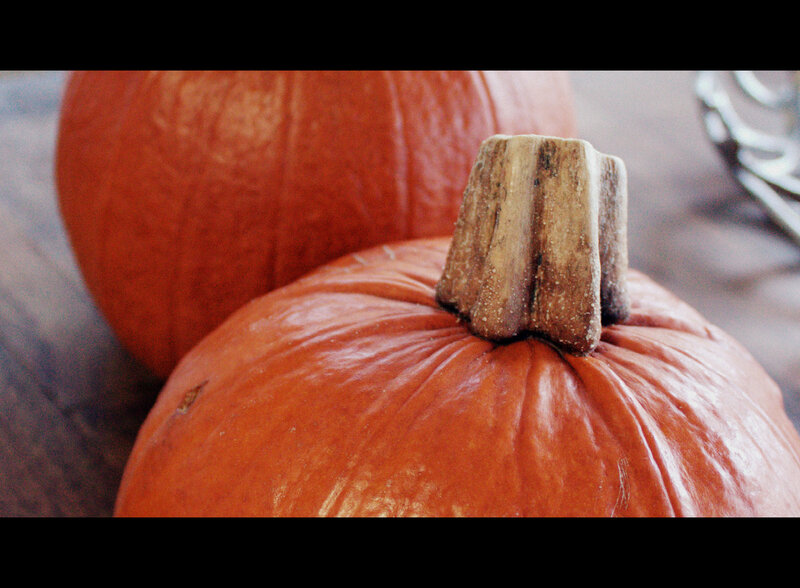 Then throw the pumpkin in a food processor and puree it until it’s smooth! Don’t forget to keep the seeds. Seeds are the make or break factor on exactly how worthwhile this process is. In my experience, canned pumpkin virtually NEVER comes with fresh seeds. From what I understand about nature though, it’s almost a guarantee that you’ll get some from a real pumpkin. I dare you to disprove that hypothesis. All this goodness came from two tiny little baby pie punkins! There you have it! 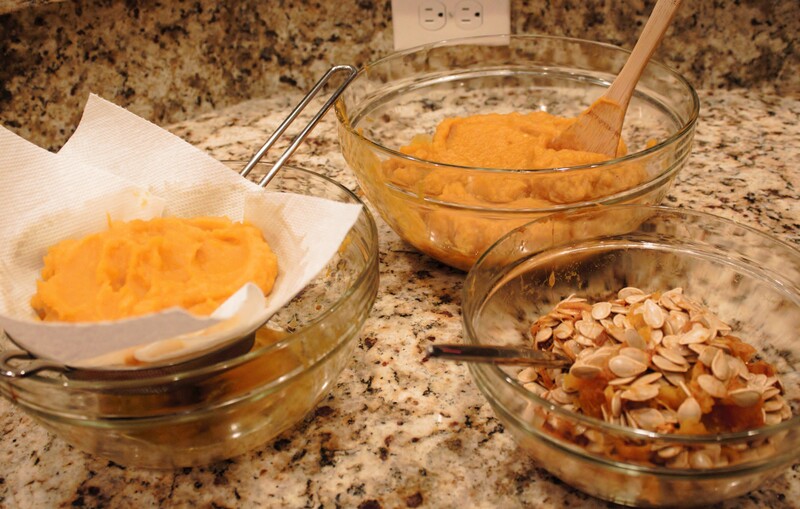 Pumpkin puree for baking, pumpkin puree for cooking, and pumpkin seeds for roasting. If you’re struggling for ideas to use all this pumpkin, just RELAX! I promise that I did, in fact, do all three of these things with my pumpkin, and I will share those recipes as well when I get around to it. Now I must go pet my dog and emotionally prepare to watch The Walking Dead. Is Glenn alive??! Will we find out tonight?! When you go to a cooking class with your mom, I believe it is traditional to bring food home to your dad. They didn’t cover that detail. Good thing I’m taking classes – it sounds like I still have a lot to learn! Can you perhaps make pumpkin cheese soup with said pumpkin puree? I hear that is quite delish!